Gryffin has been a highly regarded and trusted advisor and provider to the detention industry since its inception in 1986. It is our number one market. Detention encompasses corrections, immigration and mental health facilities. 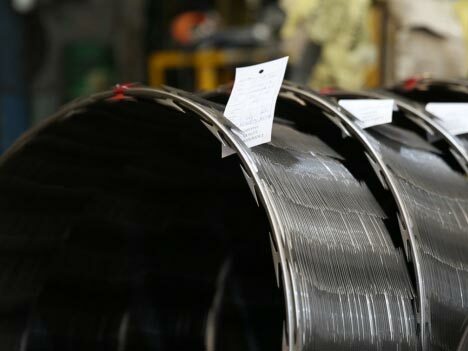 Our products and solutions provided to this market segment include our Long and Short Barb Tigertape to full perimeter 358 Welded Mesh and Palisade fence and gate systems . 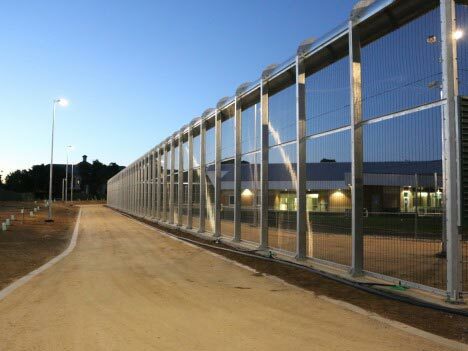 We have provided products and or fences and gates to most correctional, immigration and mental health facilities through out Australia, and to a number of overseas detention facilities. 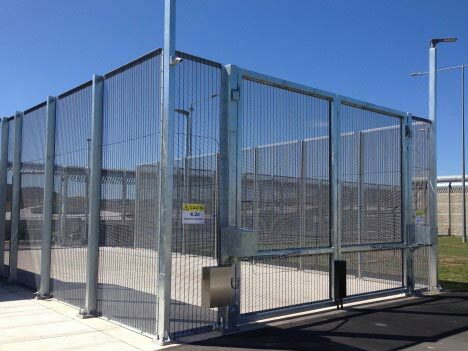 Gryffin’s products and solutions provided to the Detention industry range from TigertapeTM, supply only or supply and installation, through to many custom designed fence and gate systems. Gryffin’s decades of providing to this market segment provides a completed project list many pages long. 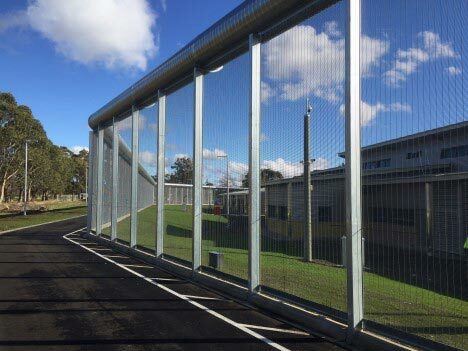 Gryffin 358 Welded Mesh fence systems, previously known as Securifor 358, have become synonymous all around Australia from Darwin, Christmas Island, Kalgoorlie, Perth, Adelaide, Melbourne, Canberra, Sydney, Brisbane and all regional areas in between; and even at Changi Prison in Singapore. Our skills in designing custom fit solutions for the Detention industry has made Gryffin a preferred and trusted supplier to this market. 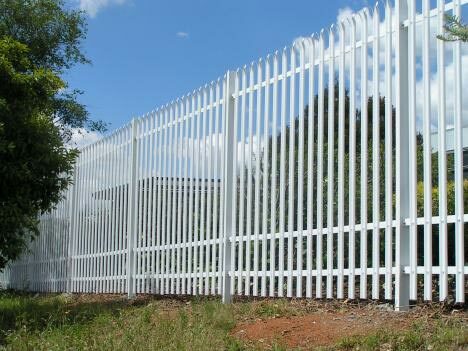 Palisade and Maxiguard® fence systems are also provided in to this market, particularly for Mental Health applications where a slightly softer yet extremely secure approach is required. Gryffin provide all sorts of fence tops from straight, TigertapeTM, cranked, duct, cowl and for maximum security cowl and tyne solutions. Both Gatton Prison Qld and Paremoremo Prison NZ are full perimeter fences 4.5m high, made totally of Long Barb TigertapeTM, ground to top of fence. 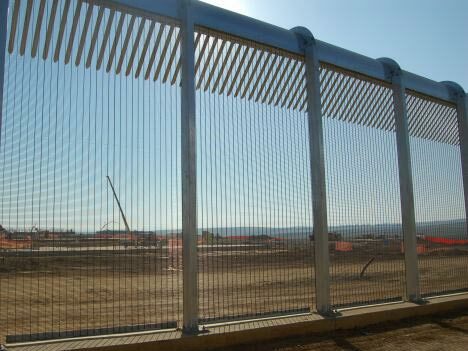 These fences provide the benefits of being very cost effective, provide severe deterrence, and have high air flow. Gryffin’s gates have continually evolved from customers feedback of real life experiences regarding functionality, safety and detainee determination to defeat security perspectives. Gryffin provide a vast range of options to suit a vast range of gate applications and perceived risk. We humbly believe no other matches our real world experience and capability in this space. The benefits in dealing with Gryffin for Detention products and solutions will start as soon as we are engaged. Whether it be by Consultants at early stages of Government Public Private Partnership (PPP) State Specification development, by Architects at design stage, by Builders at their bid stage or by fencers when they need supply of materials, we are there to assist with expert know how, capability, products and systems. By dealing direct with the industries highly regarded manufacturer and designer you know you are in the right hands who will provide the right products and systems. We guarantee it. Gryffin make it easy, efficient and cost effective for all concerned, and we mitigate risk.